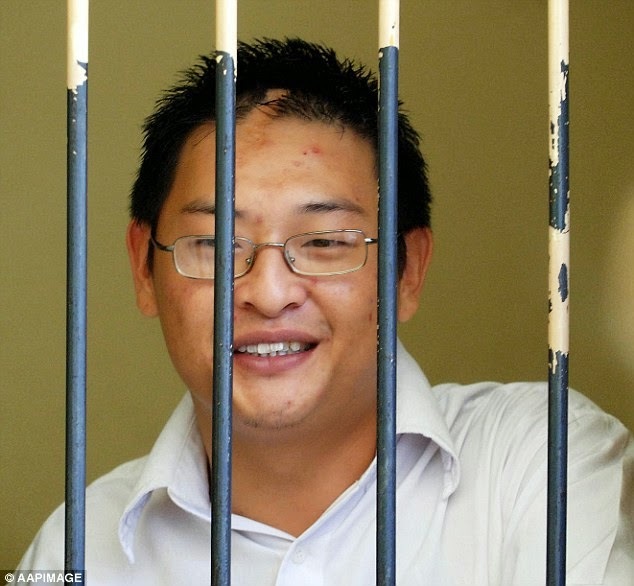 One of two Australians facing imminent execution in Indonesia, Andrew Chan, 31, married his girlfriend on Monday in a ceremony at the prison where he is to face the firing squad. According to Andrew Chan’s brother, Michael Chan, he wedded Indonesian Pastor Febyanti Herewila on the Nusakambangan prison island, ABC.net reports. However, Michael said a priest was present at the ceremony. He said that Chan met Herewila several years ago when she began counselling inmates at a prison on the resort Island of Bali, where he was held before being transferred to Nusakambangan. Reports state that Chan is among nine drug convicts expected to be executed as early as Tuesday, in spite of diplomatic disputes and international protests. The convicts, who are all foreigners except one of them, received notifications of their impending execution on Saturday. However, convicts and their families are typically notified of their executions 72 hours earlier.